This two day advanced level seminar is designed to provide the clinician with a systematic approach towards the management of cervical spine disorders. The course includes updates and insights on functional anatomy and biomechanics to develop a clinically driven knowledge base that respects current evidence and novel principles. This lab intensive course will serve as a springboard to acquire expert level manual therapy skills appropriate for the most common to the most challenging patient. Diagnosis and region specific mobilizations will be practiced to manage soft-tissue lesions and joint restrictions associated with Whiplash Syndrome, Articular Derangement, Discogenic Neck Pain and Cervicogenic Headaches and Dizziness. The clinician will gain appreciation of an eclectic treatment approach that complements current methods by building upon motor control principles and manual therapy skills that are supported by evidence and outcomes. A detailed course manual with illustrations and step-by-step instructions is provided to enhance competence and comprehension. All course participants will have the opportunity to gain a skill and knowledge base that promotes logical clinical decision-making. Participants will then be able to develop a treatment program that incorporates a balanced approach to restoring functional mobility and achieving pain relief, which in turn should meet the client’s expectations and garner respect from referral sources. 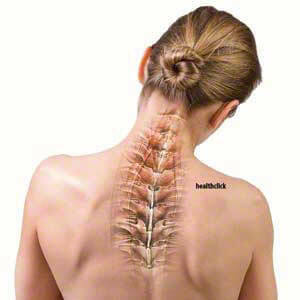 Understand the clinical anatomy and biomechanics of the cervical spine. Develop a clinical reasoning model to diagnose impaired movement patterns based upon dysfunction and injury in the spinal motion segment. Appreciate the role of the neuromuscular system and myofascial chains in postural control and cervical stability. Identify the influence of the kinematic chain for cervical spine and upper quadrant function. Develop competence in a systematic clinical assessment of the cervical spine to identify joint restrictions, muscle lesions and postural imbalances which are easily aligned with an intervention strategy. Perform provocation testing and special tests to rule out instability and rule in dysfunction. Develop comprehensive intervention strategies to restore mobility and control in the cervical spine. Perform soft tissue and joint specific mobilizations to restore segmental mobility and relieve pain. Develop a progressive exercise and retraining program that gets results through reactivation of postural control and functional movement patterns. Set reasonable goals and establish patient education regimes to encourage compliance with steps towards recovery.